In one of the worst job markets since the 1930s, it’s more important than ever that entry-level job seekers differentiate themselves amongst the competition to land their first gig. Steve wrote about a student who is doing it right in a recent post, and last week he, Ted and Peppercom internship coordinator Alicia Wells talked to some college seniors and recent grads about job hunting strategies, personal branding and how to stand out as ideal entry-level candidates. Peppercom interns Tom Showalter, Elle Kross and Amelia Denson, as well as seniors Meredith Hutchins of the College of Charleston, Katie Green of Syracuse University and Jessica Slevin of University of Georgia share their experiences and insights on how they’re overcoming the challenges of a particularly brutal job market. Please add your thoughts. We want to help everyone get through this, so share tips, advice, or disagree with what we’ve said. Can Getting Things Wrong Really Be Getting Things Right? public relations course. Our task was to teach students how to win new business, a perennial topic that is even more timely and critical today given the current economic situation. In a service-based business, such as PR, clients come and go all the time (of course, none ever leave Peppercom), so how can you keep the pipeline constantly replenished? Our 90-minute presentation was pretty interactive and consisted of some basic how to’s: how to win new business (be in it to win it, or don’t even bother); how to develop a thoughtful proposal (creative programming is key, but so is addressing the prospective clients’ pain points); how to create and deliver a killer presentation (rehearse, rehearse, rehearse); and how to have some fun in the process (take the pitch seriously, not yourselves). At the end of our presentation, we opened up the classroom to further questions and discussion. The students had some really thoughtful questions, but not all of them focused on how to get it right and win the new biz. They really wanted to know what to do when you don’t get things right: you hand the proposal in late, you’ve incorrectly identified the target audiences for the campaign, your creative ideas stink, and so on. How do you address these serious disconnects and flubs? What do you say to the prospective client? After all, it’s an important piece of business and the agency’s reputation is on the line. We responded by saying clients were the experts in their respective businesses and fields, not us. We’re not always going to have the magical answers, the most novel ideas, the prettiest presentations, etc. What we can and should bring to the table, though, is thoughtful solutions to the challenges that have been shared with us. And if your points are well founded and well researched, then they are most worthy of discussion. Engage in dialogue. Ask questions. Share your perspectives. As an example, we discussed a recent pitch where we presented a SWOT analysis that, in the prospective client’s opinion, missed the mark. We explained how we used this gaffe as an opportunity to discuss the serious disconnect between how the company perceived itself vs. how the public viewed the company. We gave the client some concrete ideas on how to close the gap and, a few weeks later, we won the new business. Sometimes getting things “wrong” can actually lead to a hearty conversation and a deeper appreciation of both parties – a solid foundation upon which any good client/agency relationship should be built. New York, March 25, 2009 —- Brouillard Communications, a division of J. Walter Thompson, recently passed away. The firm was 36-years-old. Brouillard was created by Joe Brouillard and intended to be both a JWT conflict brand and a business-to-business communications specialist. And, at first it was just that. In the first few decades, Brouillard soared. By the early 1990s, the firm was a well-respected, highly regarded integrated marketing agency that represented the likes of Morgan Stanley, Reuters, the American Gas Association and the New York Mercantile Exchange. Brouillard charged top dollar and prided itself on representing premium brands with uber strategic programs. By the time Ed and I joined Brouillard, though, the firm was already embarked on a slow, but steady, journey to oblivion. Joe Brouillard had retired and turned the reins over to, shall we say, a less than visionary successor. I was hired in June, 1994, to be the CEO's successor. I was psyched. Brouillard was still a premium brand. It still represented blue chip clients and employed more than 100 employees. But, my first week proved a rude awakening. I'd signed on based upon the CEO's promise that he'd retire within six months. What I didn't know at the time was that I was the latest in a series of hand-picked successors. This CEO had no intention of going anywhere anytime soon and he did his best to ensure I wouldn't succeed. Fear was the watchword of the day at Brouillard. People worried about losing their jobs (and this was in a robust economy, mind you). New ideas were pilloried. Non-conformative thinking was derided. The CEO was intent on keeping the firm exactly the way Joe Brouillard initially created it, regardless of whether the world was passing it by. I spent 15 months at Brouillard and died a thousand deaths at the hands of the CEO. But, my Brouillard failures fueled the successes of what was to become Peppercom. And, for that, I will be forever grateful. I feel bad for the few, remaining employees of Brouillard and the now moribund vision of Joe Brouillard. But, the firm is yet another example of the fate that awaits any business that is unable or, in this case, unwilling, to change with the times. Jobs right now are harder to find than a cab in the middle of a Manhattan downpour. That's why it's so critical to set yourself apart from the pack. We, for example, have already received more than 150 resumes for three, count 'em, three Summer internships. Most job inquiries contain the requisite cover letter and resume. A few, though, are incredibly creative. And, since we purport to be in the business of image and creativity, these entreaties get my attention. Check out the one below from Matt Rakow. Matt may not land one of our three Summer intern positions but his out-of-box inquiry earned him a shot. And, nowadays, that's half the battle. If you know me, you understand that March Madness is my favorite time of year. Nothing thrills me more than a double over time nail-biter, willing whatever team is on my bracket to make that last second jump shot. Spending this past weekend on my boyfriend’s couch watching the NCAA, I was in complete bliss…until I saw the latest advertising campaign from Domino’s Pizza. Keep in mind that I’m watching this with my boyfriend who was laid off last month from his hedge fund position. Before then, I vividly remember him coming home from work at 3am, monitoring his blackberry for another hour after he was in bed and waking up at 7am to check the close of the Asian markets. Then there is my friend, Amanda who has an entry level position at Goldman Sachs. Amanda averages three hours of sleep a night, works almost every weekend and leaves the office so late that she has to take a taxi service because it’s not safe to take the subway alone at that hour. These people work harder than anyone I know. For the CEO** of a major brand to suggest otherwise is in outrageously very poor taste. I do understand the timeliness of a campaign against corporate greed to appeal to the everyman, but if companies are going to take this stance in external communications, they should do so in a tactful way and address the real problems, none of which include a lazy Wall St.
**Just to note, Domino’s is owned by a Boston-based private equity firm and, according to pages 18 and 19 of the company’s 2008 proxy statement, Domino’s granted CEO David Brandon an $850,000 base salary for ‘08 (an increase from ‘07), and he is eligible for a bonus of up to 200% of that base salary, based on company performance. That’s nearly $2.5 million, not including stock options, folks. immediately suggested anything by Malcolm Gladwell, Christopher Buckley, Colin Dexter, Bill Bryson and David McCullough. Then, it occurred to me that more and more marketers are taking a look back at their predecessors in the Great Depression in order to glean how brands succeeded in that particularly heinous period. I know, for example, that Jazz at Lincoln Center is positioning jazz as THE ideal antidote to the fears and anxieties of today's 'new normal'. Interestingly, jazz, and its fraternal twin, swing music, became a mainstream medium as a direct result of The Great Depression. Americans turned to jazz, along with movies and radio programming, to take their minds off their collective misery. So, it makes sense for marketers to examine what worked then and juxtapose it against the realities of today's social media, global interconnectedness and ravenous 24×7 news cycle. They might discover some very interesting, and highly relevant, solutions. 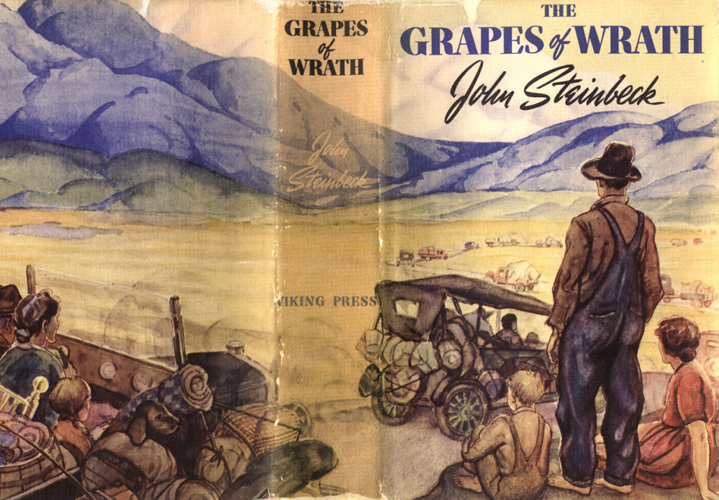 That said, as soon as I finished answering the student's question, I quickly added John Steinbeck's "The Grapes of Wrath" to my recommended reading list. It has to be the quintessential Depression-era book. And what job seeker wouldn't totally impress in any interview by noting, “By the way, I'm reading “The Grapes of Wrath” because I want to learn what lessons from the 1930s might be applicable to your company's marketing efforts.” Talk about differentiating oneself from the crowd. How does ‘RepMan History Month’ sound to you? I'm pleased to learn that March is ‘Women's History Month.’ How nice. And, how deserving. But, it begs a question: are girls and grandmothers of historical note included in ‘Women's History Month?’ Or, do they have their own 30-day period set aside? Is there a ‘Men's History Month? ‘Good, bad or ugly, men have made more history than women. Do they get a month? Do boys? Grandfathers? Is there a ‘Little People's Month?’ There should be. Ditto for seven-footers. Lots of them have made NBA history. Don't they deserve a month? And, what about dogs? Is there a ‘Dog's History Month?’ Lassie and Rin Tin Tin deserve one. How about cats? Mice? Aardvarks? I think this month thing has, like everything else, gotten completely out of control. There are so many special interest groups lobbying for their own, 'long overdue' recognition that I wouldn't be surprised to see Congress double or even triple the number of months in the year. If they did, we could set aside the new, 36th month as 'The Congress Who Tripled the Size of the Calendar Month' and honor those historic legislators. Carefully planned, launching a week or month to bring awareness to something can be a powerful way to get a message across and bring people together to discuss an issue. However, I think we can all agree that it becomes a crutch when it's proposed without any thought behind it. And that's how we've ended up with a month for any and every cause and group you can think of. By the way. 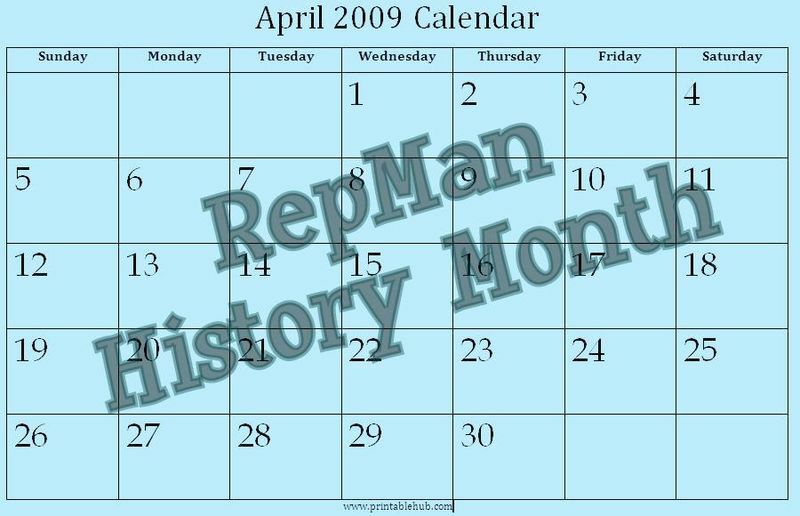 I've just decided to designate April as 'RepMan History Month.’ I'd be interested in hearing your thoughts on the best way to observe it. 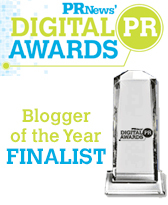 Today, senior account executive Lia LoBello has written the following special guest post. critically injured in a skiing accident in Canada. And while this story has now reached its unfortunate and sad conclusion, details over its course have remained scarce. Over the last two days, many news outlets cautiously reported the conflicting reports of Richardson’s injuries– all that is, except one. With an abandon you’d associate more closely with the New York Post’s 'Page Six' or Gawker, of all media outlets, it was "Time Out New York" that tried to break the story open mid-day Tuesday by citing one singular “source close to the family,” that the actress was “dead” and posting RIP Natasha Richardson: 1963-2009. Within minutes, blogs such as PerezHilton.com had picked up the story, offering their condolences to the families involved. Yet, there was one major issue– the actress had not yet died. At that time, she was potentially brain dead– but by broad consensus, alive. 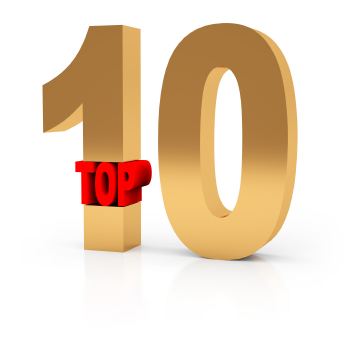 In the race to number one, such a critical and egregious error– particularly on such a serious claim– is the equivalent of falling flat on your face. And despite posting an apology once the account was refuted– which took longer than normal to go live as the site crashed under traffic– readers raked the magazine through the coals, expressing anger at the irresponsible, opportunistic reporting. Odder still, yesterday, no link to the story appeared at all on the magazine’s home page. Late last night, a retrospective of her work went live on the site– a piece much more reflective of "Time Out's" normal brand of journalism. Putting aside the baffling entrance and even quicker apparent exit of "Time Out" (for non-readers, the magazine provides listings for events happening each week in the City, sprinkled with a light feature or two), into the gossip circus, the gaffe serves as a grave reminder that public goodwill is a fickle commodity– here one day, but gone the next, should a corporation stumble. In addition, in an era when information changes hands in the blink of an eye, in the handling of the scoop of a lifetime (as I have to imagine "Time Out" believed they had,) the rules of Reporting 101 must stand: corroborate facts with several sources or make absolutely sure your singular source cannot be refuted. 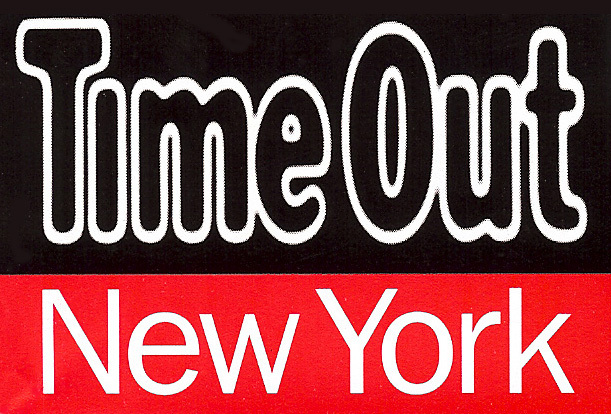 In not doing this, Time Out created a public relations nightmare and significantly damaged an otherwise intact reputation. A little fact-checking– not to mention discretion– does, indeed, go a long, long way. Joining the PRSA Counselors Academy has turned out to be the single best business investment I’ve ever made. And, unlike my 401K and stock portfolio, it’s increased in value over time. Attending the Counselors Academy Spring Conference is an investment in your business that you wouldn’t want to miss in a normal year and one you can’t afford to miss in a difficult year. I’ve been a member for 15 years or so and was invited to join the executive committee four or five years ago. I can point to millions of dollars in revenue that’s come our way as a direct and indirect result of Counselors Academy introductions. I can also point to priceless friendships that I’ll have for the rest of my life as a result of the Academy. If you’ve been in the business for 10 years and are interested, give it very serious thought. Making any sort of investment in these uncertain times is risky, but I can’t think of a safer, smarter choice for any owner of, or executive with, a small, medium or large PR firm. In addition to learning best practices for running a business and managing people, you’ll be able to hang with some of the smartest people in the world. And, these guys also know how to have a good time. Go to Palm Springs. You can thank me with a drink at the La Quinta bar. Click on this link to access all conference brochure content on the CA website .